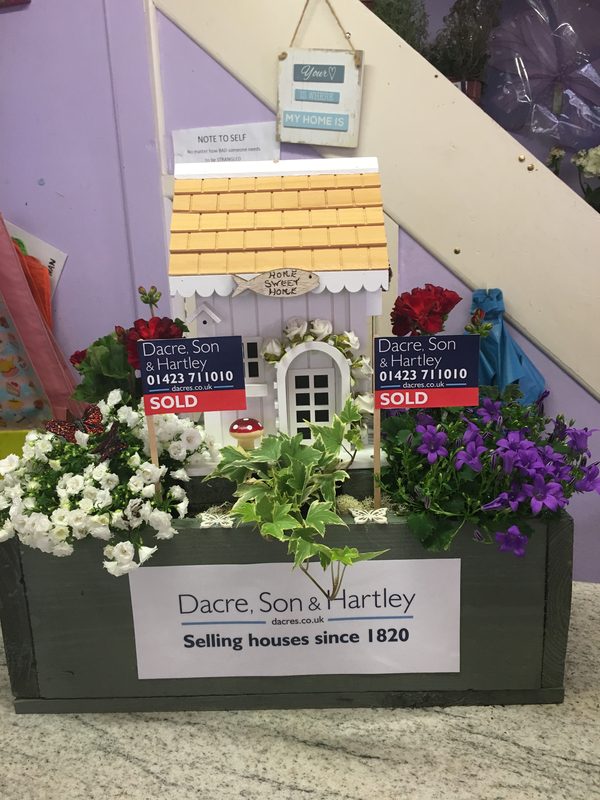 Our Pateley Bridge office is backing the town’s campaign to win this year’s prestigious Britain in Bloom competition and has created an eye-catching window display to help impress the judges. Highlights of the competition will be broadcast on BBC 2’s upcoming Britain in Bloom series, which is presented by Chris Bavin and follows communities involved in the annual floral competition which takes place across towns and villages in the UK. Earlier this month TV crews and judges spent a day filming in the Nidderdale town. We have operated from offices on Pateley Bridge’s High Street since the 1980’s and are a big supporter of local events and charitable initiatives. Alison Reilly, from our Pateley Bridge office, said: “Last year Pateley Bridge came second in the Britain in Bloom competition, so this year we’re hoping to go one better and take gold. The whole town is looking fantastic, with beautiful floral displays wherever you look. Lots of local businesses have come out in support of the initiative and we are delighted to lend a hand by putting plants and flowers in our window along with a themed flower box. With a population of just over 2,000 people, Pateley Bridge has recently been named in a prestigious list of the Best Places to Live in Britain compiled by The Sunday Times, and it also won the ‘Best High Street’ accolade in the Great British High Street awards.